Over the weekend, my timehop alerted me that I didn't want to miss a certain memory. When I opened it up, I saw that we closed on our house a year ago Saturday. How on earth has a year passed already? I sit back and think of the emotional roller coaster we went through during the closing process and look at the progress we've made to date (and everything we have left to do). The biggest adjustment has been the location change. We lived in Ybor City for 5 years and loved being able to walk everywhere while enjoying the culture of historic Tampa. 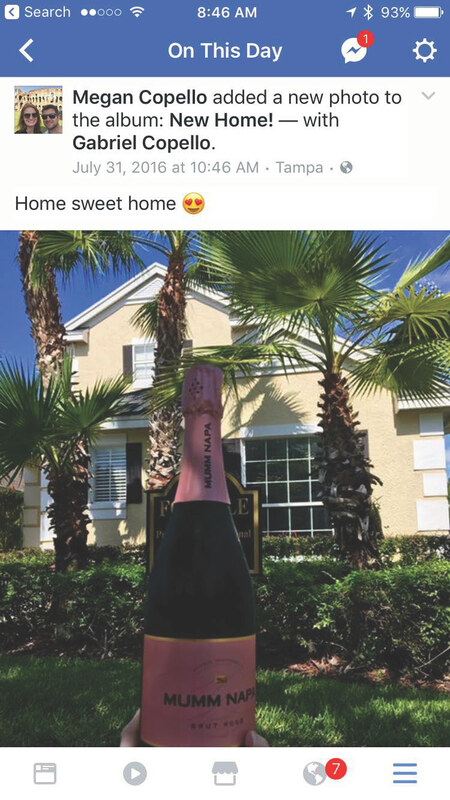 We were 10 minutes from the airport, Bayshore Blvd and South Tampa. I loved the foodie scene and exploring new restaurants. We now live in New Tampa, which is complete opposite of where we were. 100% Suburbia. 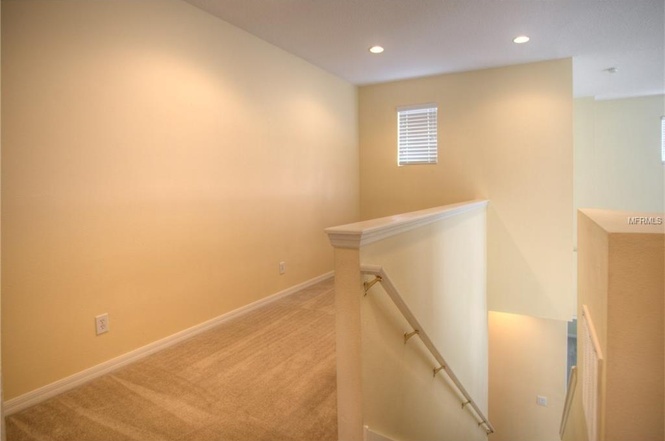 At first, I hated it and regretted buying this house. For a few months, I wished everyday that we purchased in Seminole Heights instead. However, as every month goes by, I become more adjusted to this new lifestyle. Then my friend Heather and her family moved in the neighborhood. We absolutely take advantage of the resort pool!! I wanted to look back and share what we've accomplished over the past year! When we bought the house, aside from flooring, we knew our first project would be updating the kitchen. Our house was built in 2006 and had the same oak cabinets and white appliances as every other house in the neighborhood. I hated them. Luckily our kitchen had black granite in it already. Although not a color I would personally pick, we decided to go with a grey theme. We purchased our appliances before moving into the house so there was no backing out of this one. We decided to keep our cabinets since they were solid oak. We bought Rust-Oleum Cabinet Transformation (light kit) and painted them "Winter Fog" which is a light grey. Read here about how we repainted the kitchen cabinets! We have two things left to do in the kitchen, one will happen rather quickly and the other will be on hold for a while. Our next project is the backsplash! We've decided on subway tile and this will happen over the next month. Farther down the line is replacing the tile in the kitchen. The kitchen before we updated it! Before moving in we updated our flooring on the bottom floor. From the day this house was built, it was a rental until the day we became it's owner. It had really cheap carpet that was in horrid condition. I'm not a neat freak but germs freak me out and just thinking that 10 years of rentals had that carpet made my spine crawl. Our bedroom was the first to get the flooring and we didn't move in until both the living room and bedroom were complete. My husband and father in law did the flooring and over time (as in last month), they completed the upstairs. This transformation was necessary and made such a difference. I will tell anyone going through this process that selecting the floor is the biggest headache. We had over 50 samples at one given time and it made my head hurt. We eventually settled on our flooring, sight unseen from an online store called Floors to your Home. It was the best thing we did. We didn't pay shipping, sales tax and it came with the underlay. Out the door, our flooring was less than $1500. This was my favorite transformation of all. We actually purchased enough wood for the stairs without doing research on it. Well it turns out it wasn't that easy. After visiting Lowes and Home Depot what feels like 20 times, we ended up purchasing unfinished Oak Treads from Lumber Liquidators and stained them to match our other flooring. It took 2 weekends to complete and we had a few hiccups along the way. However, the finished product was worth all the stress and frustration. After we finally installed the wood upstairs, we decided to do a brick wall. From the beginning, we agreed to do a brick wall up there and turn it into a library/cafe/bar sitting area. We looked at doing brick veneer which goes on your wall like tile. When we visited Sanibel Island in May, we dined at a place that had the best Lobster Rolls in FL. When I inquired about the walls, the owner told us about brick paneling, which we had no idea existed. A trip to Lowes and $120 later, we had our brick wall. It only took a day to install (using a nail gun). We still need to decide on furniture and light fixtures. Our old table did not fit in the breakfast nook. As each day went on, I hated that table more and more. It's been in my life for 12 years and it was time to go. My in-laws purchased me a solid oak antique lion claw table for my birthday. We found it on one of the swap sites for $40! It was in great condition and we re-purposed the leftover Rust-Oleum Cabinet Transformation paint and the stain we used on the stairs. This project cost less than $50!! We purchased the tufted chairs and the checkered rug from Overstock.com and my Mom purchased my beloved MacKenzie Childs plates for my birthday. We are going to stain the legs of the chairs but want the Kitten to get through his clawing stage first. 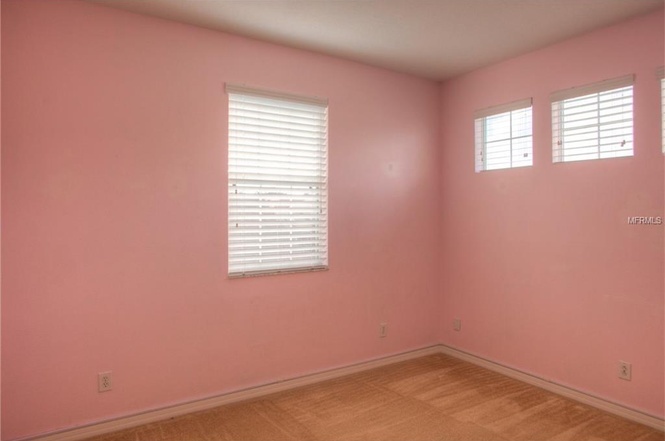 Two of our guest rooms were painted purple and pink. 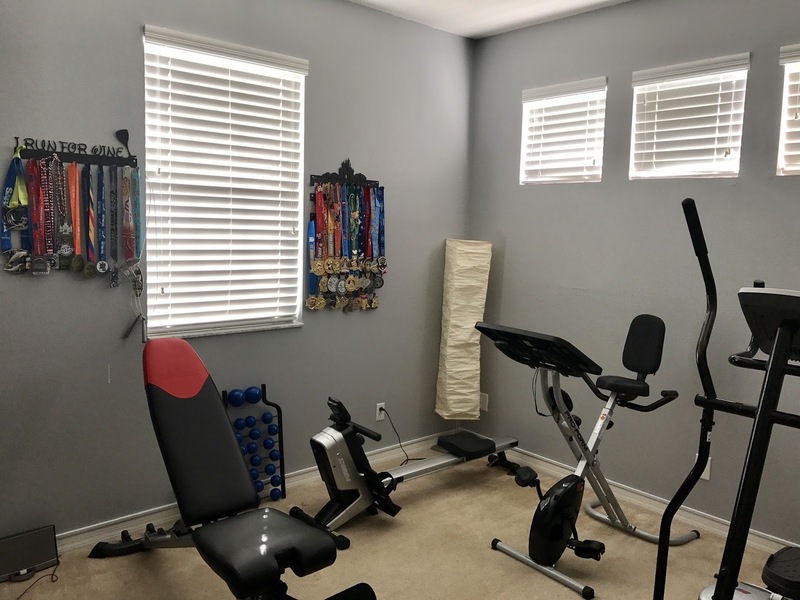 Using the leftover grey paint from our bedroom, we got rid of the pink room and turned it into an home gym. We have an elliptical, rower, stationary bike, bench and weights. The only thing I wished we had in there was a treadmill. One day! We still need to replace the carpet in the three upstairs bedrooms. Sadly we cannot use the same flooring as the rest of the house. That's the one downfall about buying flooring on sale. It has since been closed out. A few things I learned over the past year of home renovations. Patience is key. Although things should only take a day or two, expect for the unexpected and prepare yourself to wait weeks, sometimes a month for a small project. It happened to us across the board on everything we did. Things take time. I laugh at myself over this one. When we bought the house I told everyone, we will remodel both bathrooms before the end of the year. HA. We haven't even touched those. Shop around. While this sounds like a no-brainer, it astounds me how many people that I know didn't do this. The luxury of the internet is that it is possible to find the best deals. We saved so much on our flooring that we were able to invest instantly in other projects. We bought our appliances on a holiday weekend, which saved us more than we spent.